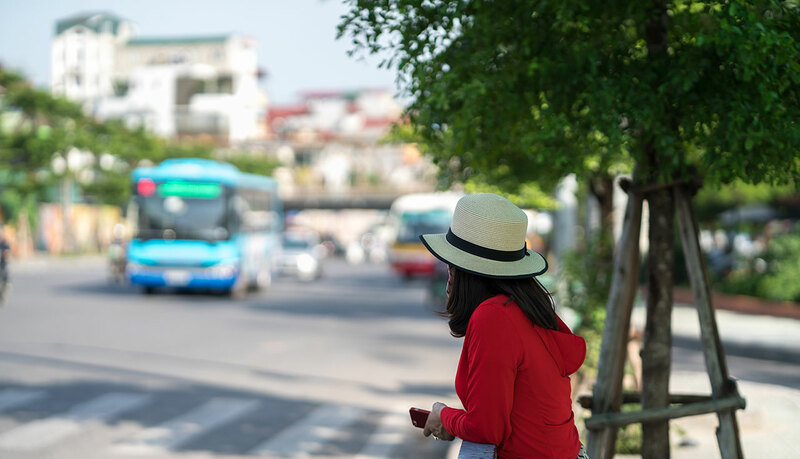 As a part of our commitment to offer multi-transport search we are integrating online ticket booking for buses in Vietnam, helping travellers to find schedules and book bus tickets by internet avoiding long queues in the bus station. 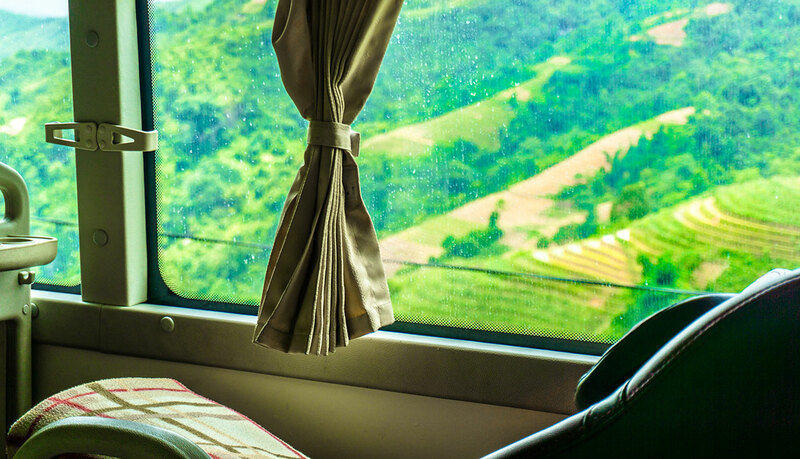 Starting from today, you can book domestic bus routes connecting the major cities and tourist sites in Northern Vietnam, Central Vietnam and Southern Vietnam, as well as international bus routes from Vietnam to China, Laos and Cambodia. 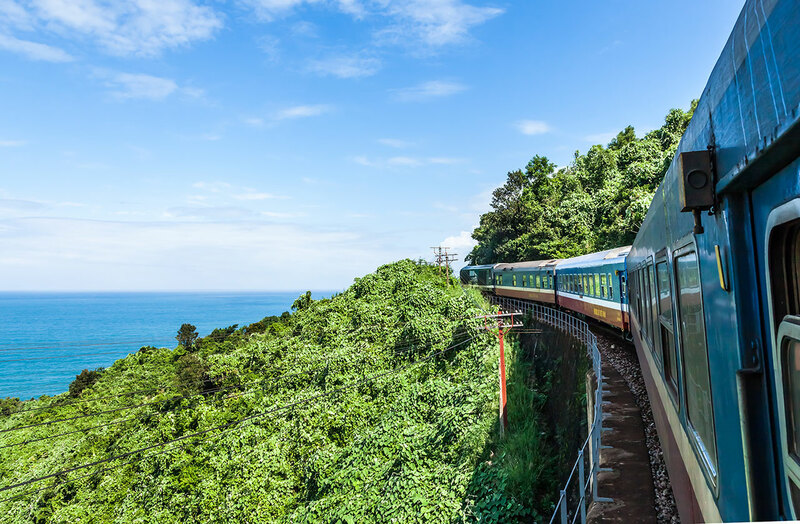 We support advance ticket booking for more than 200 bus stations and bus stops across Vietnam, including the major destinations such as Hanoi, Sapa, Ha Giang, Ha Long, Cat Ba and Ninh Binh in the North; Dong Hoi, Hue, Da Nang, Hoi An, Quy Nhon, Nha Trang and Mui Ne in the Central Coast; Da Lat in the Central Highlands; Ho Chi Minh, Vung Tau, Can Tho, Rach Gia and Ha Tien in the South. Road passenger transportation in Vietnam is traditionally carried out with three kinds of vehicles: single-deck coaches, double-deck coaches and minivans. 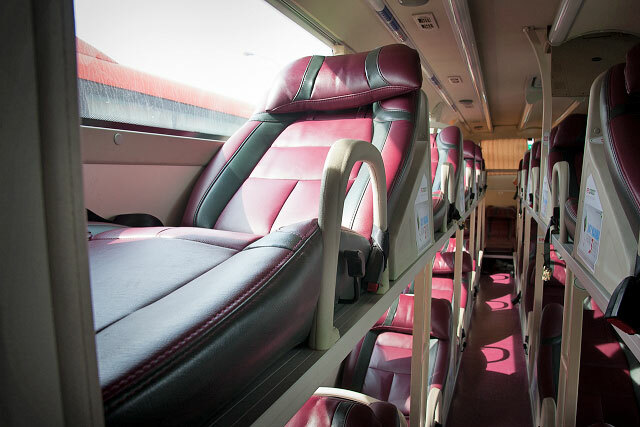 The most common models of seating bus in Vietnam are single-deck Thaco coaches built on Hyundai chassis, such as Thaco County and Thaco Universe, equipped with reclining seats. Seating buses generally cover short distances between cities during daytime. Most bus vehicles have an air-conditioning system and the staff on-board usually provides water and refreshing towels. The most common models of sleeper bus in Vietnam are double-deck Thaco coaches built on Hyundai chassis, such as Thaco Mobihome, equipped with fixed berths. Sleeper buses generally cover long distances between cities overnight, allowing travellers to sleep during most part of the trip. Most bus vehicles have an air-conditioning system and the staff on-board usually provides water, refreshing towels and sometimes blankets for the passengers. The most common model of the minivan in Vietnam is the Ford Transit, having the interior refurbished with three rows of seats accommodating 9 passengers, or one row of seats at the back and four individual seats in the center accommodating up to 7 passengers. Additionally, there is space for 1 extra passenger in the front of the van, seating next to the driver. Most van vehicles are equipped with air conditioning, onboard entertainment system, Wi-Fi internet, reading light and USB phone charger to ensure a pleasant trip. Road traffic is growing rapidly in Vietnam with the construction of new expressways, although the main road network still consists of national roads and provincial roads. The National Route 1A crosses the country connecting Hanoi, Hue, Da Nang, Nha Trang, and Ho Chi Minh, while the North-South Expressway that runs parallel is partially in use and partially in-construction. The recently developed Hanoi–Hai Phong–Ha Long Expressway and Hanoi–Lao Cai Expressway have shortened the travel time from the capital to the mountains in the Northwest and the coast in the Northeast, whereas the Ho Chi Minh City–Trung Luong Expressway facilitates the access from the Southern metropolis to the Mekong Delta. Northern Vietnam region comprises four areas: the Northwest with Dien Bien, Hoa Binh, Lai Chau, Lao Cai, Son La and Yen Bai provinces; the North with Bac Giang, Bac Kan, Cao Bang, Ha Giang, Lang Son, Phu Tho, Thai Nguyen and Tuyen Quang provinces; the Northeast with Quang Ninh province and Hai Phong city; and the Red River Delta with Bac Ninh, Ha Nam, Hai Duong, Hung Yen, Nam Dinh, Ninh Binh, Thai Binh and Vinh Phuc provinces. 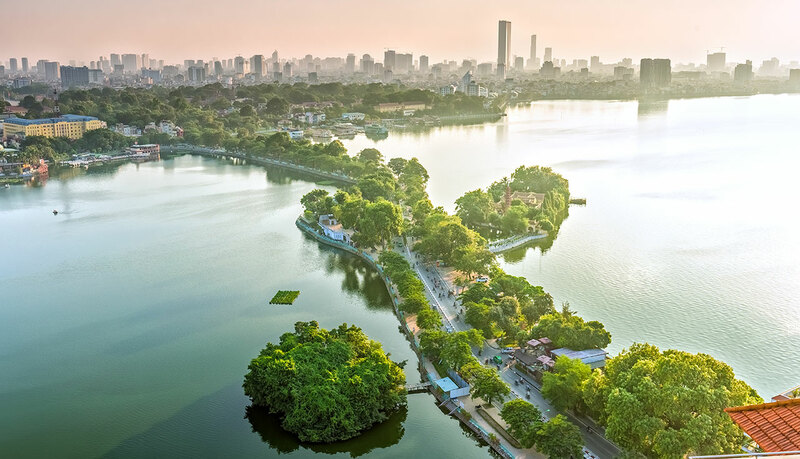 Hanoi is the main transportation hub, with several bus companies, namely Cat Ba Express, Daiichi Travel, Good Morning Cat Ba, Good Morning Sapa, Ha Son Hai Van, Hai Au, Hung Thanh, Inter Bus Line, Kumho Viet Thanh, Ngoc Thuan, Non Nuoc Ninh Binh, The Anh, Truly Ha Giang, Quang Nghi and Xuan Trang, and limousine van companies, namely Eco Sapa, Bao Khang Limousine, Green Limousine, Huu Binh Limousine, Long Thinh, Luxury Transport and Phuc Xuyen operating in the Northern region. 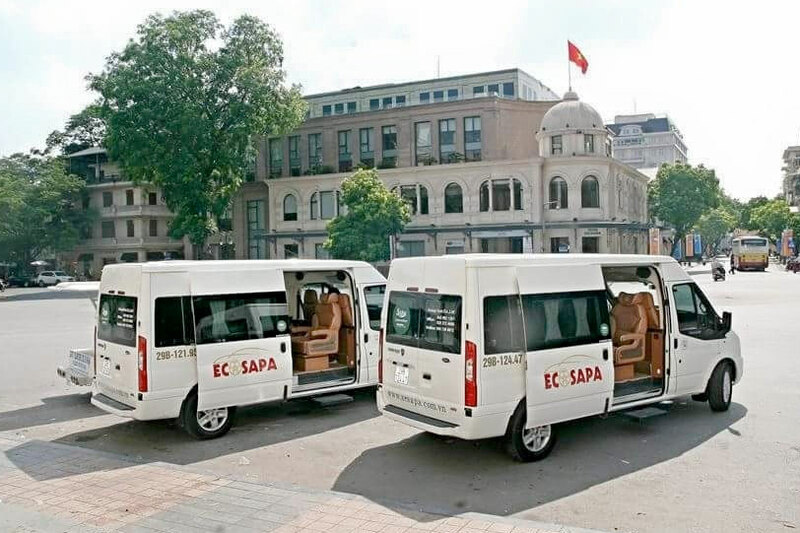 – Good Morning Sapa, Ha Son Hai Van, Inter Bus Line operate regular bus services and Eco Sapa operates limousine van services from Hanoi to Lao Cai and Hanoi to Sapa. – Xuan Trang, Ngoc Thuan operate limousine van services from Hanoi to Son La. 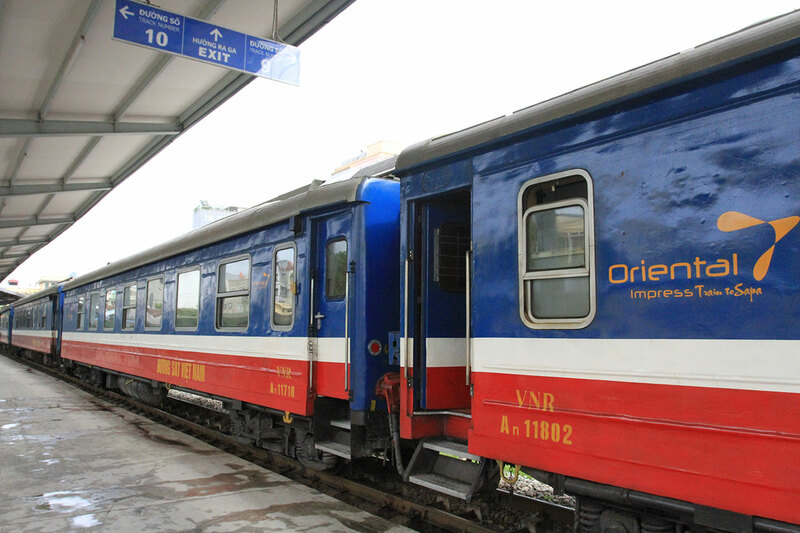 – The Anh operate regular bus services from Hanoi to Lai Chau. 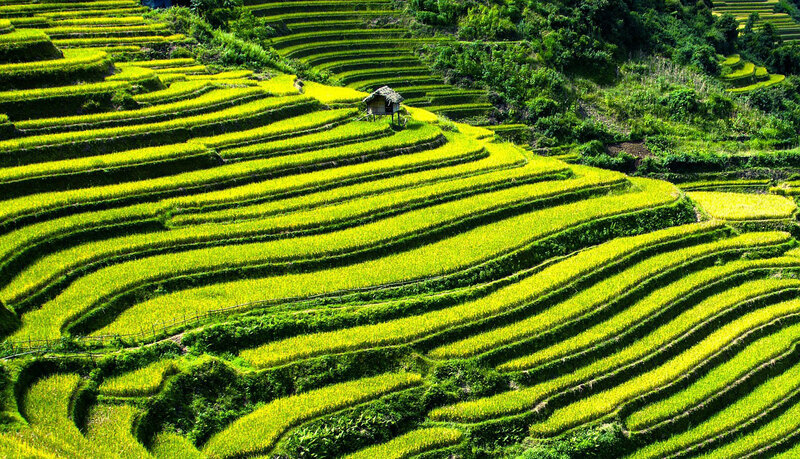 Sapa is a popular destination for travellers thanks to its amazing landscapes of impressive peaks, green valleys, and rice terraces, as well as for its great diversity of ethnic minority groups inhabiting the mountains. 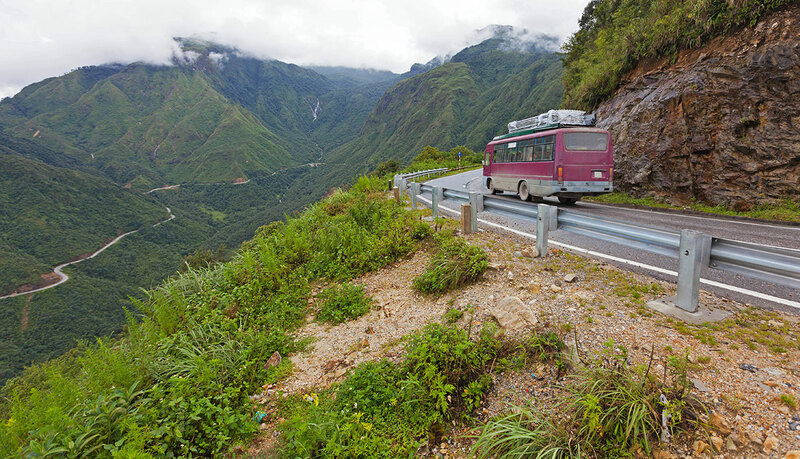 – Hung Thanh, Quang Nghi, Truly Ha Giang operate regular bus services from Hanoi to Ha Giang. 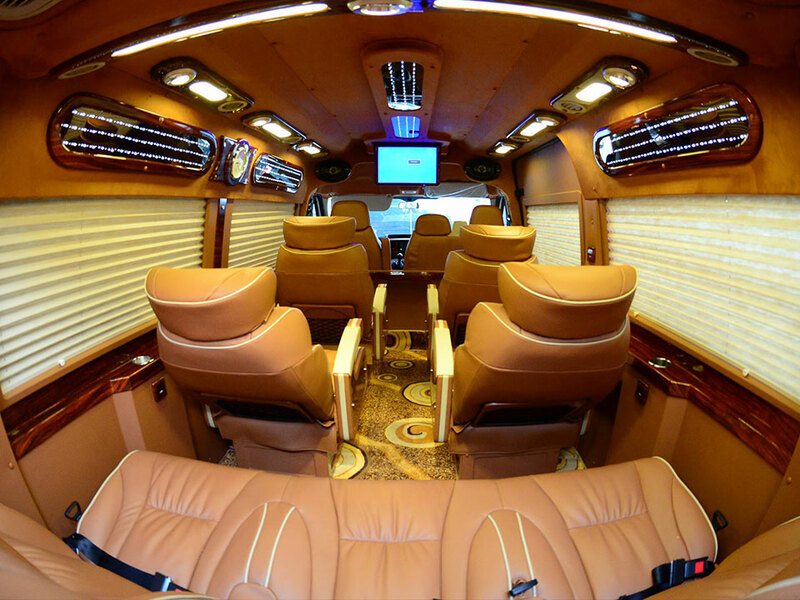 – Long Thinh operates limousine van services from Hanoi to Lang Son. 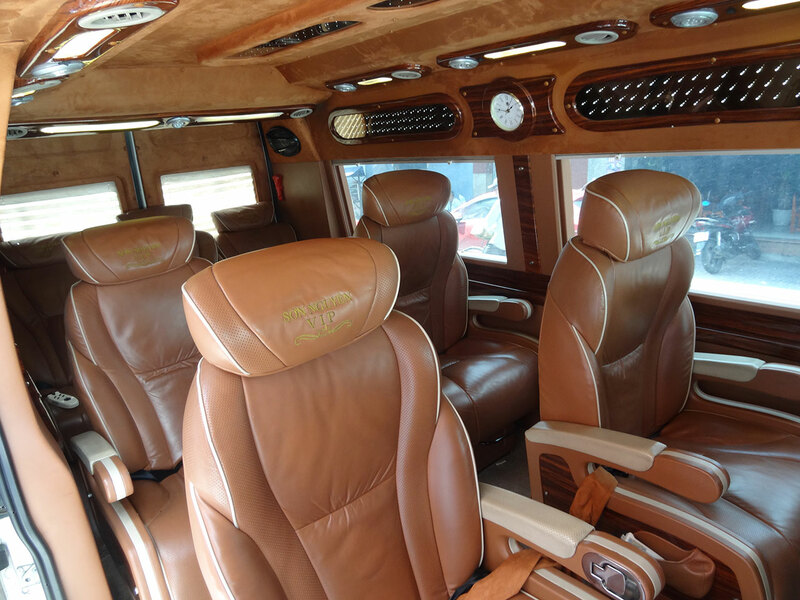 – Bao Khang Limousine and Green Limousine operate limousine van and minibus services from Hanoi to Bac Giang. Filled with stunning limestone karsts, steep mountain passes, switchback roads, and misty villages, Ha Giang is also home to a wide diversity of local villages who still preserve their traditional culture and lifestyle. – Kumho Viet Thanh operates regular bus services and Luxury Transport, Phuc Xuyen operate limousine van and minibus services from Hanoi to Ha Long. – Hai Au operates regular bus services from Hanoi to Hai Phong. – Cat Ba Express, Daiichi Travel and Good Morning Cat Ba operate regular bus services from Hanoi to Cat Ba. – Kumho Viet Thanh operates regular bus services from Hanoi to Cam Pha. 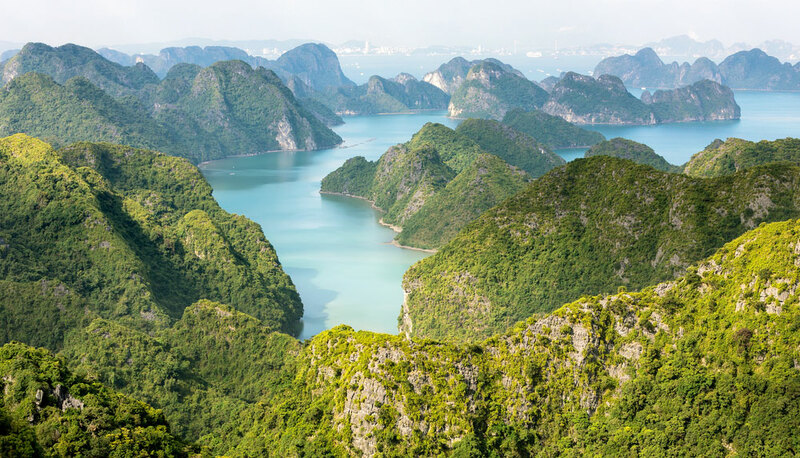 Located on the southeastern side of Ha Long Bay, the island of Cat Ba is well-known for its limestones and karsts above the ocean, rocky hills, impressive caves, a diverse natural ecosystem, and hidden sandy beaches. 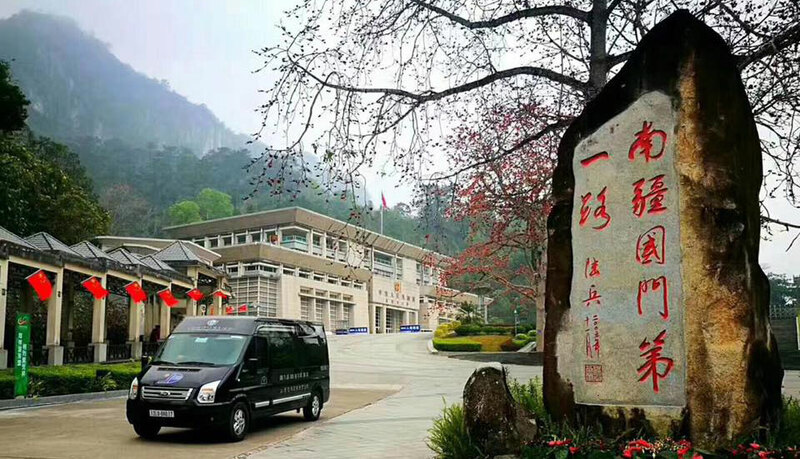 – Non Nuoc Ninh Binh and Huu Binh Limousine operate limousine van services from Hanoi to Ninh Binh. – Good Morning Cat Ba operates regular bus services from Cat Ba to Ninh Binh. 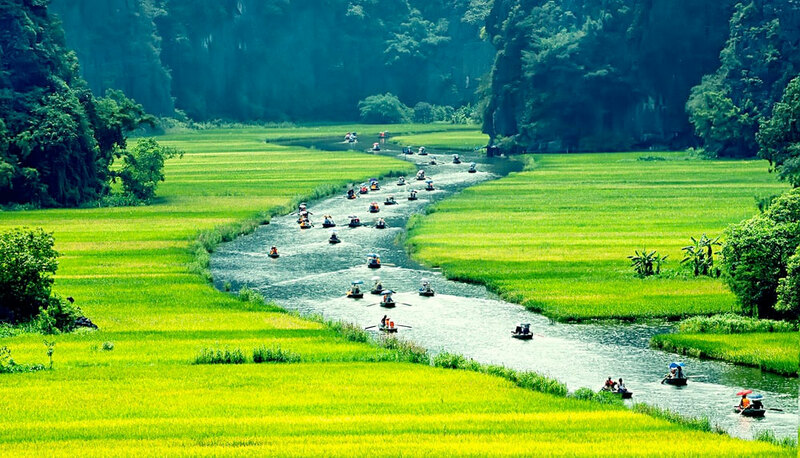 Ninh Binh is famous for its UNESCO-listed Heritage Trang An Complex featuring picturesque landscapes surrounding temples and pagodas, and peaceful boat rides through rice paddies and breath-taking karst mountains. Central Vietnam region comprises three areas: the North Central Coast with Thanh Hoa, Nghe An, Ha Tinh, Quang Binh, Quang Tri and Thua Thien–Hue provinces; the South Central Coast with Quang Nam, Quang Ngai, Binh Dinh, Phu Yen, Khanh Hoa, Ninh Thuan and Binh Thuan, provinces; and the Central Highlands with Kon Tum, Gia Lai, Dak Lak, Dak Nong and Lam Dong provinces. 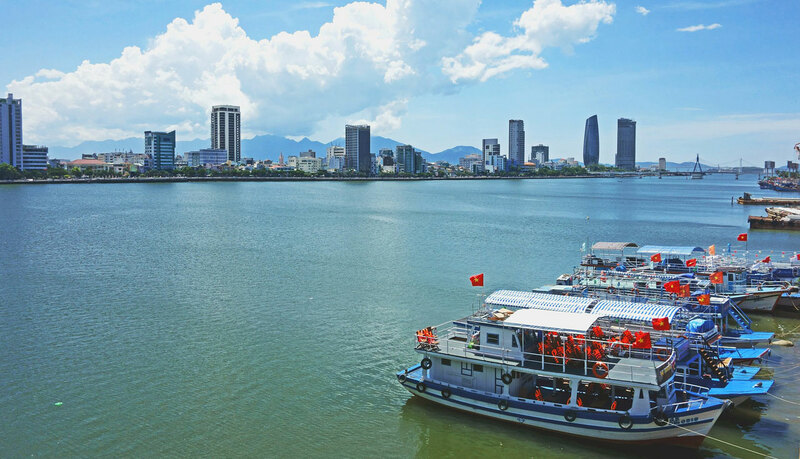 Da Nang is the main transportation hub, with several bus companies, namely Bay Lang, Hai Van, Hanh Cafe, Hoang Kim Phat, Hung Thanh, Mai Linh, Phuc Thuan Thao, Phuong Trang (Futa Bus), Quang Hanh, Queen Cafe Bus, The Sinh Tourist and Thinh Phat Limousine, and limousine van companies, namely Cat Thien Hai Travel, Hoi An Express, Hoang Vu Limousine and Minh Tri Limousine operating in the Central region. – Hung Thanh, Queen Cafe Bus operate regular bus services from Hanoi to Dong Hoi and Hanoi to Phong Nha in Quang Binh province. – Hung Thanh, Queen Cafe Bus operate regular bus services from Hue to Dong Hoi and Hue to Phong Nha in Quang Binh province. 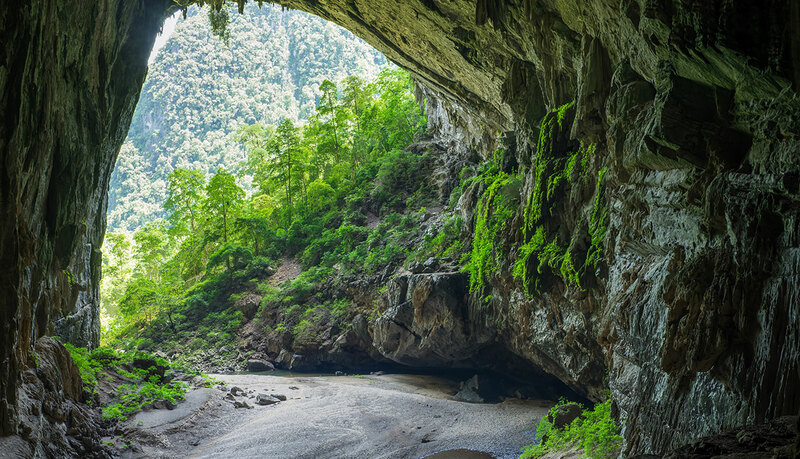 Located in Quang Binh province, Phong Nha–Ke Bang is a hidden natural gem of Southeast Asia home to some of the largest and most stunning caves in the world. – Hung Thanh, Queen Cafe Bus, The Sinh Tourist operate regular bus services from Hanoi to Hue. – Hanh Cafe, The Sinh Tourist operate regular bus services and Hoi An Express operates limousine van services from Da Nang to Hue and Hoi An to Hue. 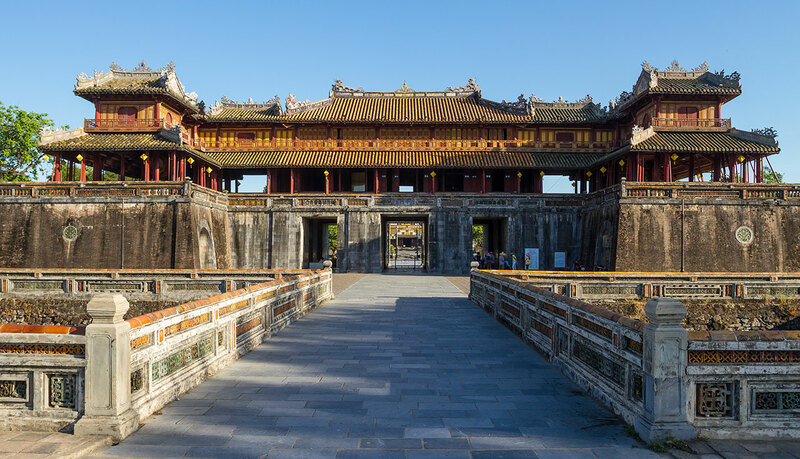 Hue is recognized as World Heritage Site by UNESCO for its well-preserved monuments, including the Imperial City and the magnificent royal tombs of the former emperors of Vietnam. – Hung Thanh, Queen Cafe Bus operate regular bus services from Hanoi to Hoi An. – Hanh Cafe, The Sinh Tourist operate regular bus services and Hoi An Express operates limousine van services from Da Nang to Hoi An and Hue to Hoi An. 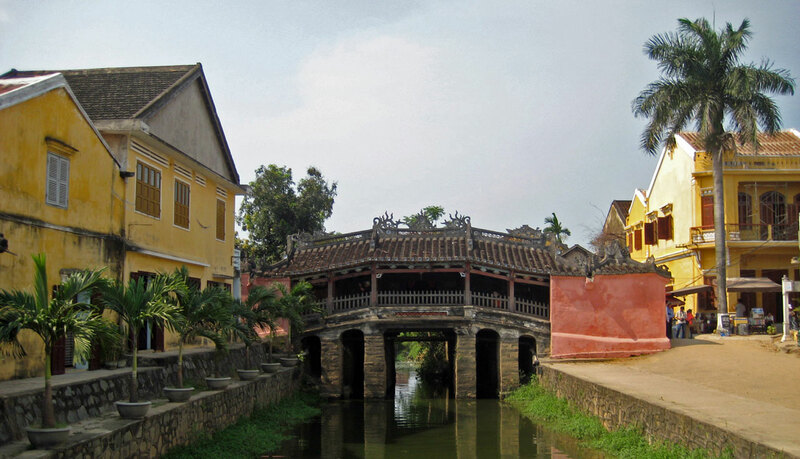 The Ancient Town of Hoi An is one of the oldest Southeast Asian trading ports, it dates back from the 15th century and represents a good example of the fusion of many Asian cultures. – Phuong Trang (Futa Bus) operates regular bus services from Ho Chi Minh to Quang Ngai. – Phuong Trang (Futa Bus) operates regular bus services from Ho Chi Minh to Quy Nhon in Binh Dinh province. 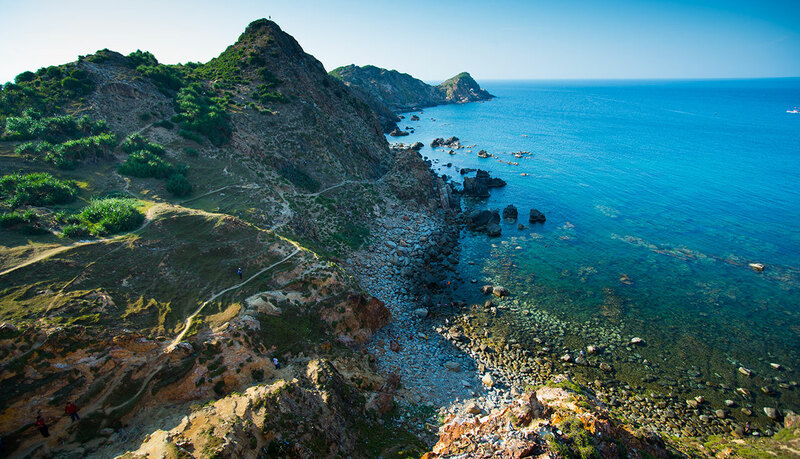 Quy Nhon is a coastal city with a diverse shoreline that varies from pristine sandy beaches to rocky cliffs. – Phuc Thuan Thao operate regular bus services from Ho Chi Minh to Tuy Hoa in Phu Yen Province. – Phuc Thuan Thao operates regular bus services from Tuy Hoa to Da Nang and Nha Trang. – Hanh Cafe, The Sinh Tourist, Phuong Trang (Futa Bus), Quang Hanh operate regular bus services from Da Nang to Nha Trang and Mui Ne to Nha Trang. – Hanh Cafe, The Sinh Tourist, Phuong Trang (Futa Bus) operate regular bus services and Cat Thien Hai Travel operates limousine van services from Da Lat to Nha Trang. – The Sinh Tourist, Phuong Trang (Futa Bus) operate regular bus services from Ho Chi Minh to Nha Trang. 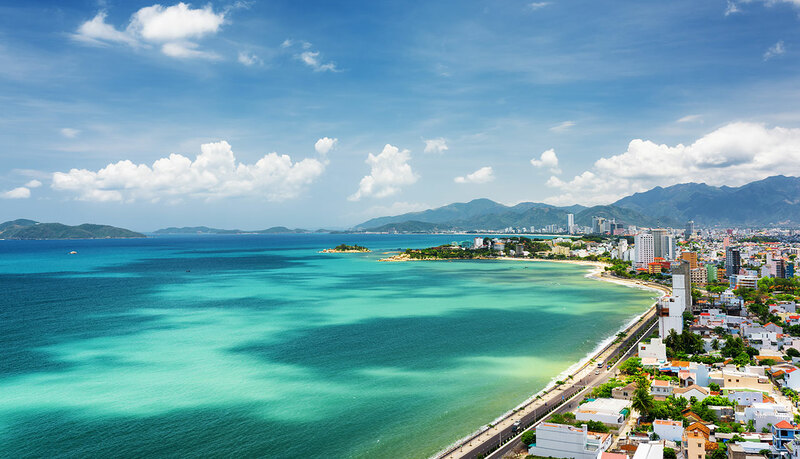 Nha Trang is a famous tourist resort-town. It combines a lively and urban atmosphere with a long beach perfect for swimming and sunbathing. – Phuong Trang (Futa Bus) operates regular bus services from Ho Chi Minh to Cam Ranh and Ho Chi Minh to Ninh Hoa in Khanh Hoa province. – Hanh Cafe, The Sinh Tourist operate regular bus services from Nha Trang to Phan Thiet and Nha Trang to Mui Ne in Binh Thuan province. – Hanh Cafe, The Sinh Tourist operate regular bus services from Da Lat to Phan Thiet and Da Lat to Mui Ne in Binh Thuan province. 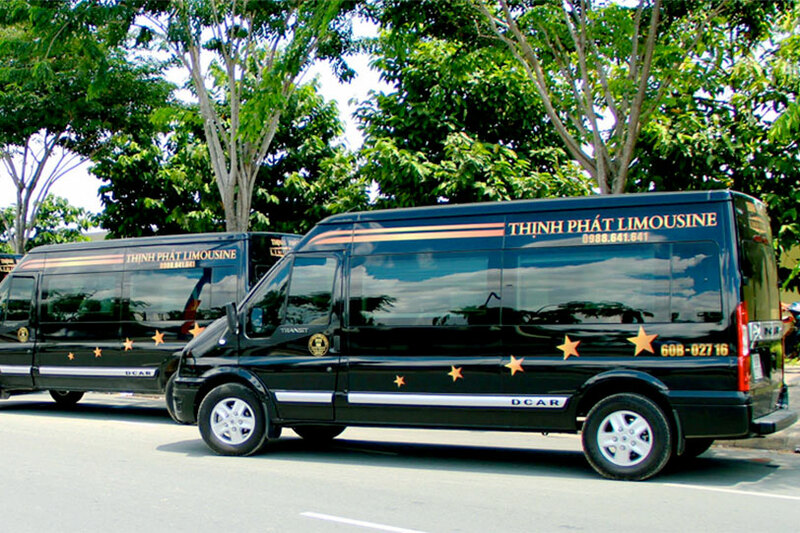 – The Sinh Tourist, Phuong Trang (Futa Bus), Thinh Phat Limousine operate regular bus services from Ho Chi Minh to Phan Thiet and Ho Chi Minh to Mui Ne in Binh Thuan province. 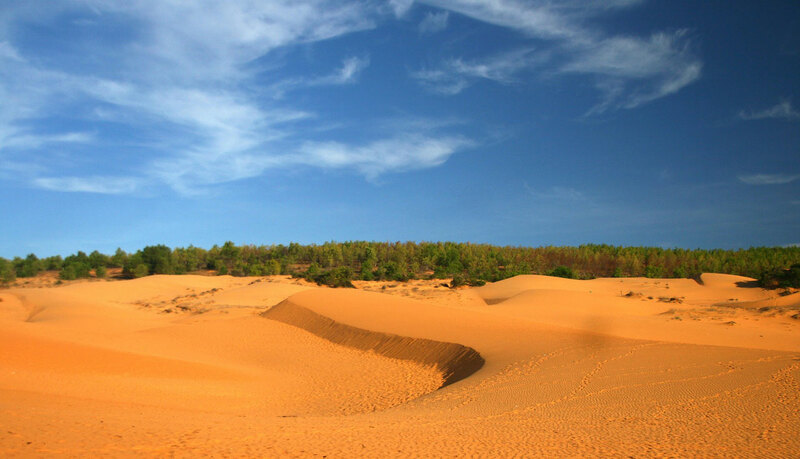 Located in Binh Thuan province, Mui Ne is a coastal town popular for its sand dunes and beaches. 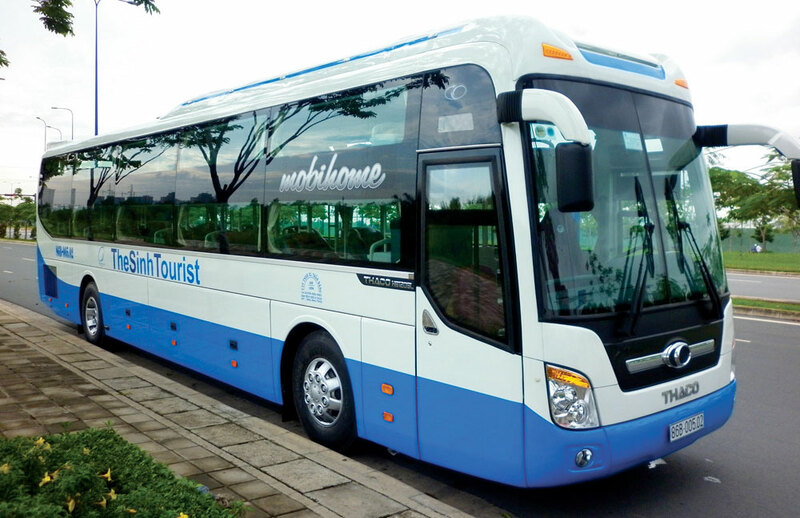 – Hai Van, Mai Linh operate regular bus services from Da Nang to Buon Ma Thuot in Dak Lak province. – Hoang Kim Phat, Mai Linh, Phuong Trang (Futa Bus) operate regular bus services from Ho Chi Minh to Buon Ma Thuot in Dak Lak province. – Bay Lang operates regular bus services from Ho Chi Minh to Pleiku in Gia Lai province. – Hanh Cafe, The Sinh Tourist, Phuong Trang (Futa Bus), Phuc Thuan Thao, Thinh Phat Limousine operate regular bus services and Hoang Vu Limousine and Minh Tri Limousine operate limousine van services from Tuy Hoa to Da Lat, Nha Trang to Da Lat, Mui Ne to Da Lat and Ho Chi Minh to Da Lat in Lam Dong province. – Hoang Kim Phat, Phuong Trang (Futa Bus) operate regular bus services from Ho Chi Minh to Dak Nong in Dak Nong province. 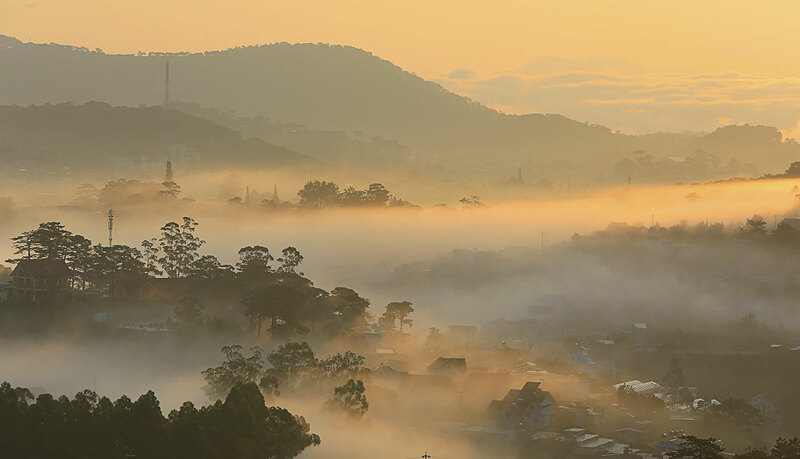 Da Lat is a charming city surrounded by an impressive scenery of lakes and pine-covered mountains. Southern Vietnam region comprises three areas: the Southeast with Ba Ria–Vung Tau, Binh Duong, Binh Phuoc, Dong Nai, and Tay Ninh provinces; and the Mekong River Delta with An Giang, Ben Tre, Bac Lieu, Can Tho, Dong Thap, Hau Giang, Long An, Soc Trang, Tien Giang, Tra Vinh and Vinh Long provinces, and the Southwestern Coast with Kieng Giang and Ca Mau provinces. 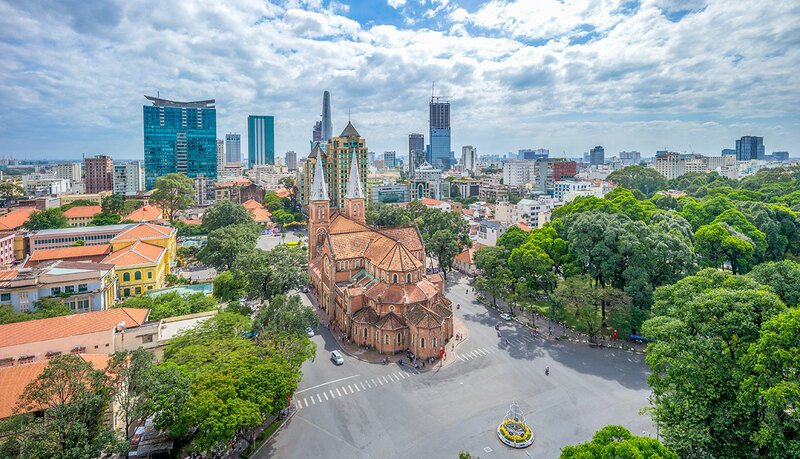 Ho Chi Minh is the main transportation hub, with several bus companies, namely Hanh Cafe, The Sinh Tourist, Phuong Trang (Futa Bus), Thien Thanh Limousine and Thao Chau, and limousine van companies, namely Phu Hai Limousine and Vu Linh, operating in the Southern region. 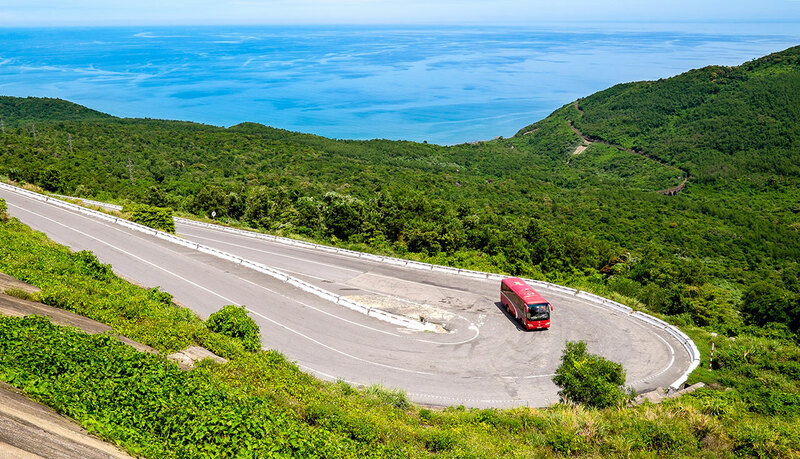 – Phuong Trang (Futa Bus) operates regular bus services and Phu Hai Limousine operates limousine van and minibus services from Ho Chi Minh to Vung Tau. 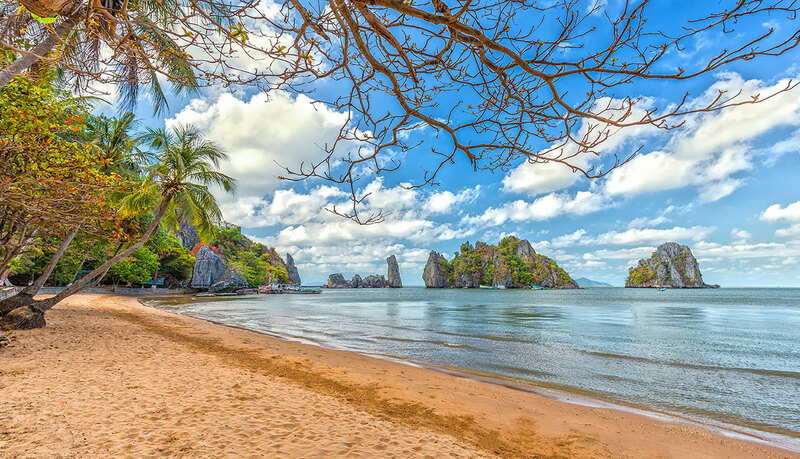 Vung Tau is a popular weekend getaway for those who wish to escape the bustling streets of Ho Chi Minh and enjoy the sea breeze. – Phuong Trang (Futa Bus) operates regular bus services from Ho Chi Minh to Ben Tre, Tra Vinh, and Soc Trang, Vinh Long, Vi Thanh in Hau Giang province, Sa Dec and Cao Lanh in Dong Thap province, Long Xuyen and Chau Doc in An Giang province. – Thao Chau operates regular minibus services from Ho Chi Minh to My Tho and Ben Tre. – Phuong Trang (Futa Bus) operates regular bus services and Vu Linh operates limousine van services from Ho Chi Minh to Can Tho. – Ngoc Anh, Phuong Trang (Futa Bus) operate regular bus services from Ho Chi Minh to Bac Lieu. The Mekong Delta is a region of unique beauty and landscapes with jungle and canals best admired on board of a rowboat. 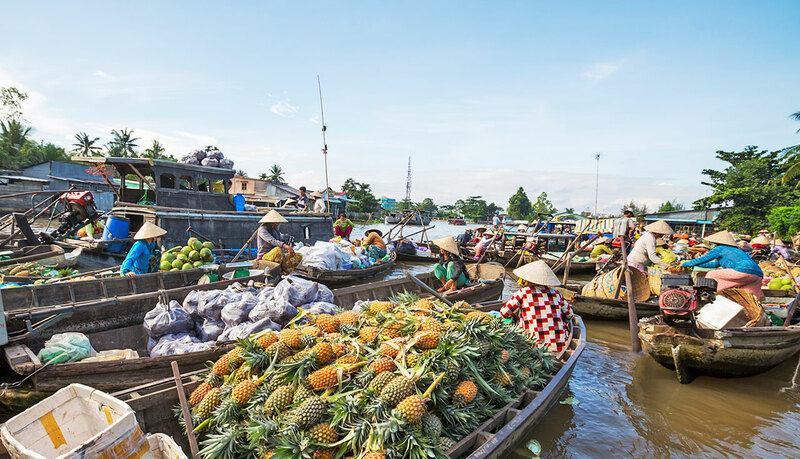 The capital, Can Tho, is famous for its floating markets. 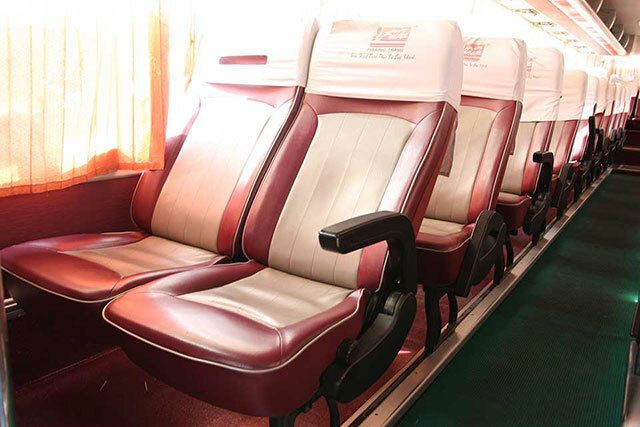 – Phuong Trang (Futa Bus), Thien Thanh Limousine operate regular bus services from Ho Chi Minh to Rach Gia. – Hoang Minh, Phuong Trang (Futa Bus) operate regular bus services from Ho Chi Minh to Ha Tien. – Phuong Trang (Futa Bus) operates regular bus services from Ho Chi Minh to Ca Mau. Rach Gia and Ha Tien are two sea cities located in the West coast of Vietnam. From here, travellers can take a ferry to Phu Quoc and Nam Du islands. For those travellers who wish to exit Vietnam by road, there are international bus and limousine van services to Nanning in China, Vientiane and Luang Prabang in Laos, Phnom Penh, Sihanoukville and Kampot in Cambodia. Vietnam is connected by road with China through three border checkpoints, namely Huu Nghi–Youyi Guan in Lang Son province, Mong Cai–Dongxing in Quang Ninh province, and Hekou–Lao Cai in Lao Cai province. – Son Duc operates regular limousine van services from Hanoi to Nanning through Huu Nghi–Youyi Guan international border gate near Dong Dang, Lang Son province. Travellers bound to China are required stamped Visa for China. Visa on-arrival is not accepted at Youyi Guan port of entry. 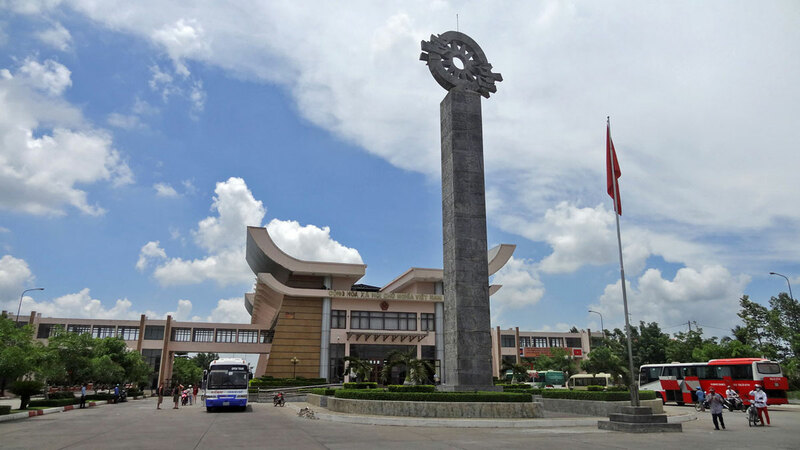 – Son Duc – 山德汽车运输联营 operates regular bus services from Nanning to Hanoi through Huu Nghi–Youyi Guan international border gate near Pingxiang, Chongzuo County, Guangxi province. Travellers bound to Vietnam are required visa exemption or else stamped Visa for Vietnam, e-visa or visa on-arrival. 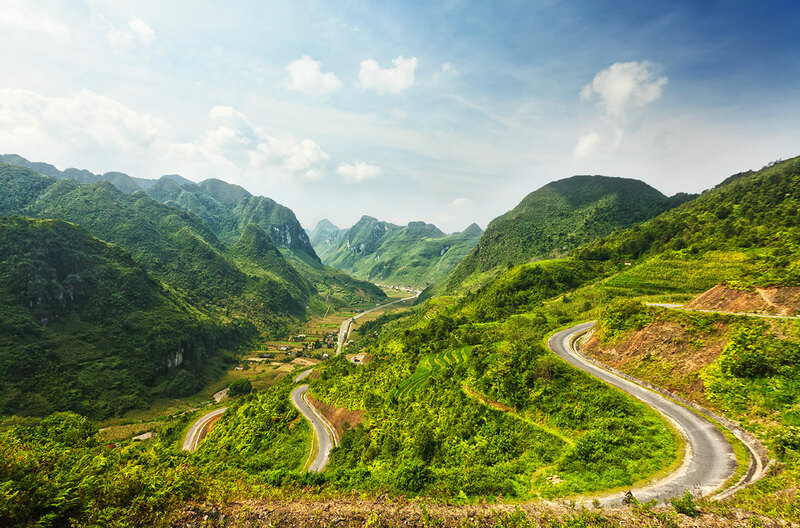 Vietnam is connected by road with Laos through seven border checkpoints, namely Sop Hun–Tay Trang in Dien Bien province, Na Maew–Nam Xoi in Thanh Hoa province, Nam Can–Nong Het in Nghe An province, Cau Treo–Nam Phao in Ha Tinh province, Cha Lo–Na Phao in Quang Binh province, Lao Bao–Dansavanh in Quang Tri province, and Bo Y–Phou Keau in Kon Tum province. – Naluang Station operates regular bus services from Luang Prabang to Dien Bien Phu and Sapa through the Sop Hun–Tay Trang international border gate in Phongsali province, from Luang Prabang to Hanoi and Vinh through the Nam Can–Nong Het international border gate in Xiangkhouang province, and from Luang Prabang to Hue through the Lao Bao–Dansavanh international border gate in Savannakhet province. 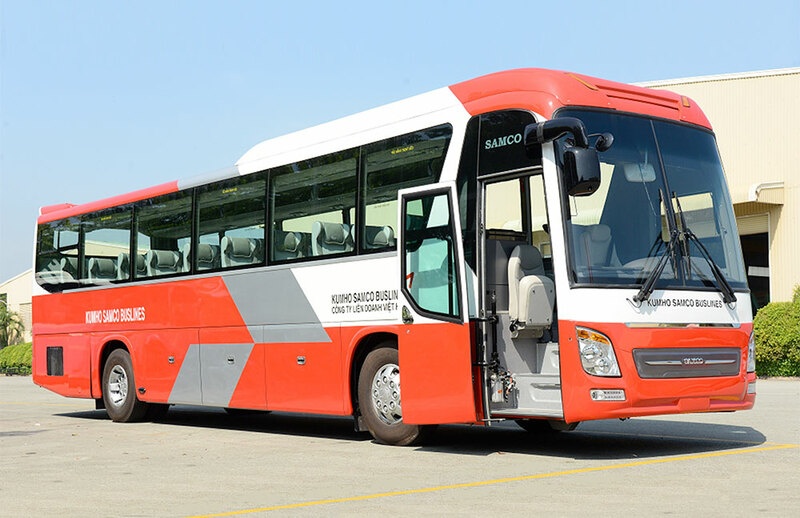 – Saysamon Transports operates regular bus services from Vientiane to Hue and Da Nang through the Lao Bao–Dansavanh international border gate in Savannakhet province. Vietnam is connected by road with Cambodia through six border checkpoints, namely Le Thanh–O Yadao in Gia Lai province, Moc Bai–Bavet and Trapeang Phlong–Xa Mat in Tay Ninh province, Banteay Chakrei–Dinh Ba in Dong Thap province, Phnom Den–Tinh Bien in An Giang province, and Xa Xia–Prek Chak in Kien Giang province. 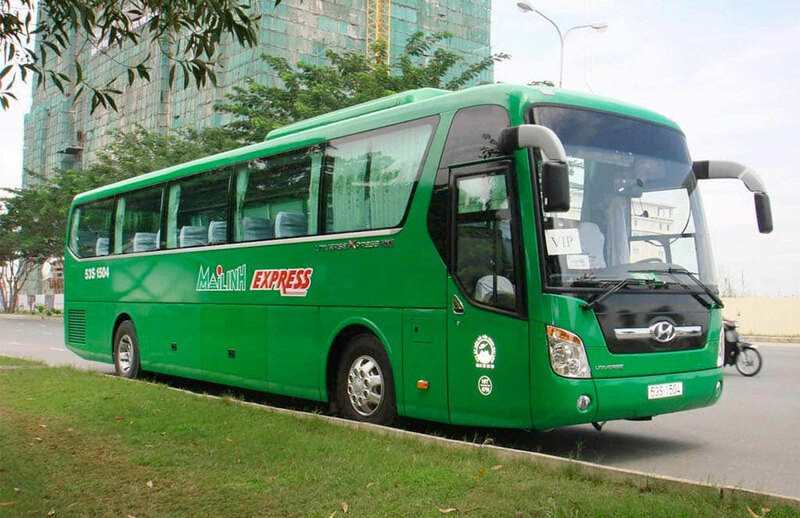 – Giant Ibis, Mekong Express, Sapaco operate regular bus services from Ho Chi Minh to Phnom Penh through Moc Bai–Bavet international border gate in Tay Ninh province. – Champa Tourist Bus operates regular bus services from Ha Tien to Kampot, Sihanoukville and Phnom Penh through Xa Xia–Prek Chak international border gate in Kien Giang province. Travellers bound to Cambodia can bring stamped Visa or apply for Visa on arrival at Bavet and Prek Chak ports of entry. Alternatively, e-visa is accepted if entry via Bavet. 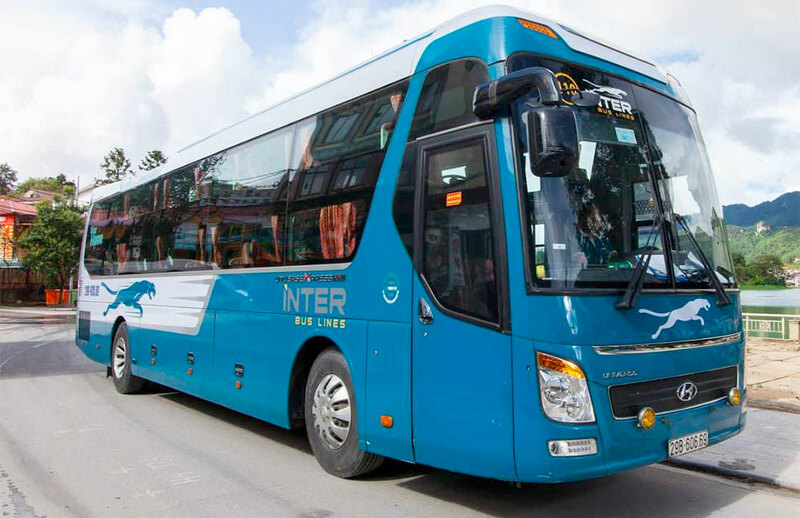 – Giant Ibis, Mekong Express, Sapaco operate regular bus services from Phnom Penh to Ho Chi Minh through Moc Bai–Bavet international border gate in Svay Rieng province. – Champa Tourist Bus operates regular bus services from Kampot, Sihanoukville and Phnom Penh to Ha Tien through Xa Xia–Prek Chak Border international border gate in Kampot province. Baolau cooperates with over 50 transport providers in Vietnam operating bus, minibus and limousine van routes. Booking your tickets is really simple. You can search your itinerary between any two cities for your planned travel dates. We will list the results available, which depending on the itinerary would be covered by seating bus, sleeper bus, minibus or limousine van. 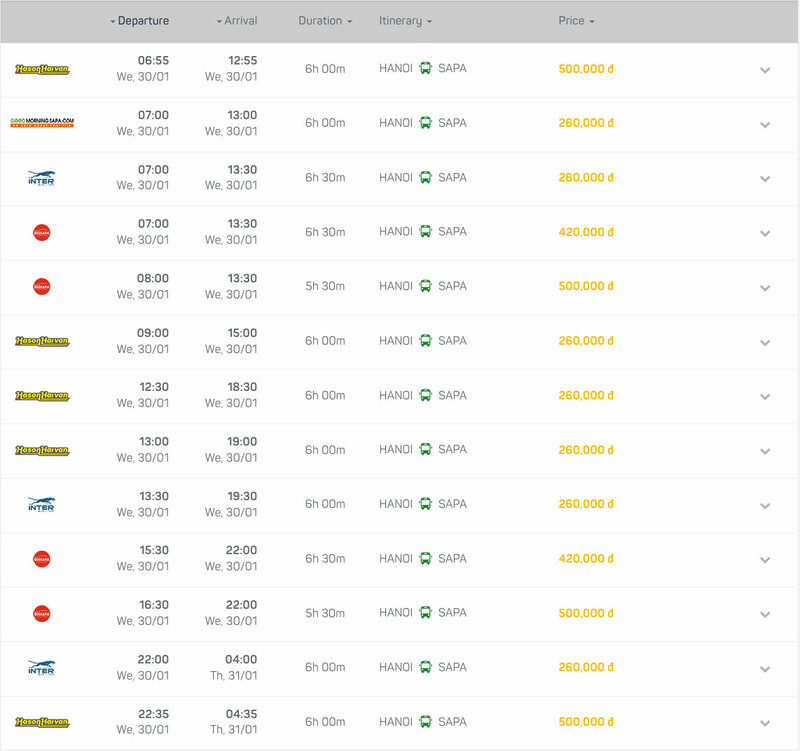 Compare the travel times and prices, and select the most convenient transport option for you. Next, you can complete the payment before submitting your booking request. Once your reservation is confirmed, you will receive your e-tickets by email, ready to travel. Follow the instructions contained in the confirmation email and present a printed copy or a digital copy of your e-ticket at the departure point to check-in and jump onboard. We wish you a pleasant trip by road through Vietnam.